Pretty flowers aren’t just for show. In “Floral Libations” by lifestyle blogger Cassie Winslow, they also get rubbed into salts and sugars, cooked into simple syrups, and infused into gin and vodka to stock a colorful pantry. From there, they’re used to flavor a potpourri of whimsical drinks, both alcoholic and non-alcoholic, for any time of day. 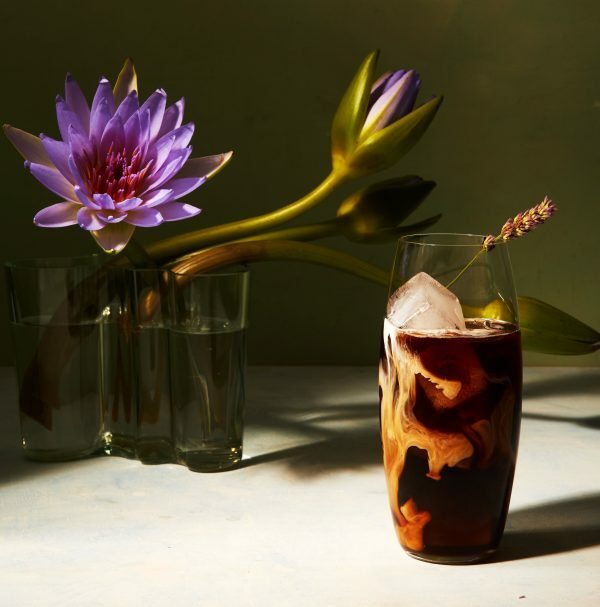 For mornings, there’s an iced café au lait made dreamy with lavender sugar, or a brunch-worthy Bloody Mary rimmed with rose salt and garnished with nasturtium. 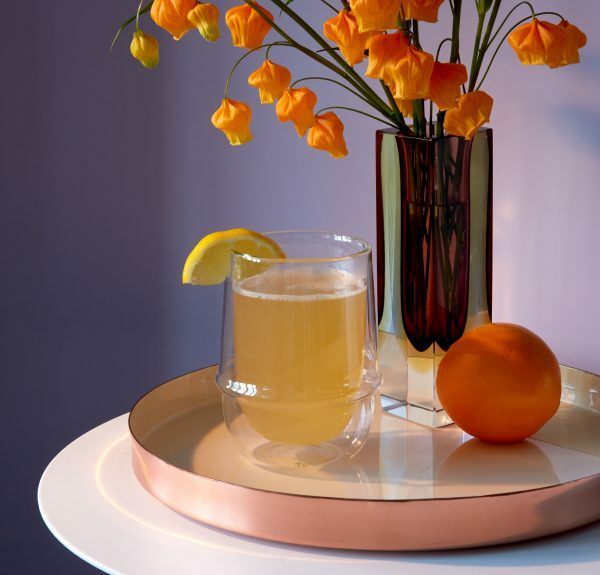 Afternoon pick-me-ups include blackberry hibiscus lemon drops and orange blossom Moscow mules, and after-supper sips range from rose-salted caramel milkshakes for dessert to orange and chamomile hot toddies to lull you to sleep. Winslow also includes tips on buying edible flowers (her number one rule: always buy organic), learning to use them (always taste them first, as their potency can vary), and even growing your own (Winslow and her family have their own garden). The book is a collection of “garden-party eye candy,” as Winslow puts it, that celebrates both the beauty and delicate flavors of edible flowers. It’s perfect for springtime entertaining—or simply adding a touch of whimsy to the everyday. 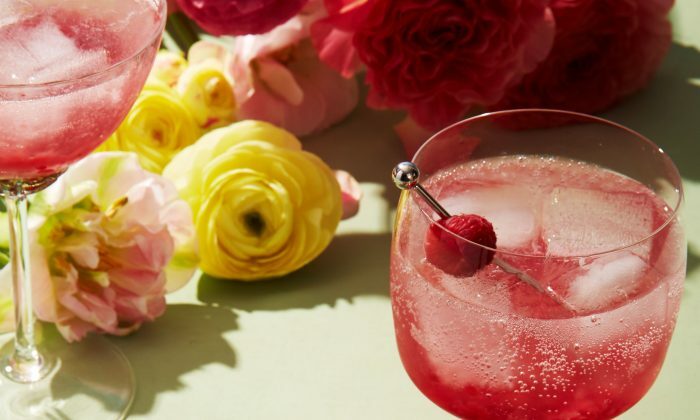 Here’s a delightfully floral morning-to-night drink menu to get you started. This morning treat is a wonderful way to enjoy coffee during the summertime. Knowing that the lavender goodness will tickle your taste buds, you will bounce out of bed and skip to the kitchen to whip up these delightful beverages. I love to make the coffee and lavender mix the evening before so it’s ready to go first thing in the morning. In a large bowl or pitcher, stir together the hot coffee and lavender sugar. Place the mix in the fridge for about 6 hours or overnight to chill. When you are ready to make the cafés au lait, fill 4 glasses with ice. Pour 1 cup of the coffee and lavender mixture into each glass followed by 1/2 cup of whole milk. Stir until combined. Garnish each glass with a sprig of lavender. In a food processor or spice grinder, grind the lavender for about 2 seconds—yes, it goes by quickly! This will reduce the size of the petals just slightly and open them up a bit to bring out the flavor, without turning them into a powder. In a small bowl, stir together the lavender and sugar. For optimal flavor, wait about 1 week before use. Store in an airtight container at room temperature for about 6 months. Tart and vibrant with nearly limitless combinations, shrubs are the ideal aperitif. This trendy libation is sometimes known as drinking vinegar. It’s a drink that may sound a bit bizarre yet will pleasantly surprise you. This treat rewards the adventurous drinker with a mélange of berry hibiscus deliciousness. To make the jam, in a medium saucepan, combine the raspberries, hibiscus simple syrup, and water and cook over medium heat. Bring to a simmer, and using a fork, mash the raspberries. Simmer until the mixture thickens into a sauce, 5 to 8 minutes. Remove from the heat and allow to cool. As the mixture cools, it will thicken. To make the shrub, place 1/2 cup of jam in a large pitcher. Add the vinegar and stir until combined. Slowly pour in the sparkling water, then add the vodka and stir together. Fill 4 tumblers with ice then pour in the shrub. 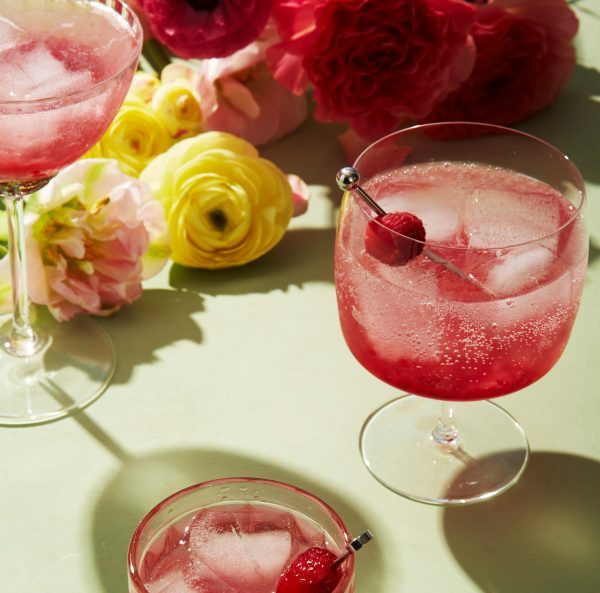 Garnish each glass with fresh raspberries or a fresh hibiscus petal. In a small saucepan, stir together the sugar, hibiscus flowers, and water and cook over medium heat. Simmer until the sugar has completely dissolved and the mixture has thickened into a syrup, about 5 minutes. Remove from the heat and allow to cool. Store the syrup, without straining, in an airtight container in the refrigerator for up to 1 week. Cozy up with this warm, delicious beverage on a chilly evening and you will be in floral bliss. It’s warming, calming, and oh so easy to make. In a large mug, stir together the Cara Cara orange and chamomile simple syrup, boiling water, brandy, and lemon juice. Add the chamomile satchel and allow to steep for 5 minutes. Discard the chamomile satchel. Garnish with fresh chamomile flowers or a lemon wheel. In a saucepan, stir together the juice, zest, chamomile flowers, sugar, and water and cook over medium heat. Simmer until the sugar has completely dissolved and the mixture has thickened into a syrup, about 5 minutes. Remove from the heat and allow to cool. Strain the mixture through a fine-mesh sieve set over a bowl, then transfer to an airtight container. Store in the refrigerator for up to 1 week. Note: If you don’t have access to Cara Cara oranges, feel free to use navel oranges instead. All recipes reprinted from “Floral Libations” by Cassie Winslow with permission by Chronicle Books, 2019.